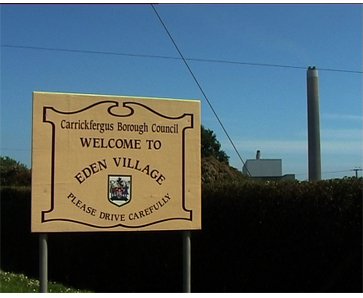 Eden, in Northern Ireland, shares few of the qualities of its namesake. It exists around the perimeter fence of one of Ireland's largest power stations. This portrait of Simon Aeppli's hometown forms the basis of a video that explores a run down half forgotten place. Focusing on Eden's residents, the work reveals a place filled with eccentricity, humour and beauty.